Adis Ababa’s announcement last week was welcomed as a major step towards permanently calming the deadly tensions between the two warring neighbours. Eritreans in the diaspora celebrated Ethiopia’s announcement as if it was a national holiday – a second independence day of sorts. They were happy because they assumed the statement would start a normalisation process between the two countries, which could encourage the Eritrean government to finally abandon its policies of militarisation and loosen its iron grip on the population. But, as the days passed and the Eritrean government remained silent on the subject, the Eritrean diaspora’s enthusiasm and joy transformed into disappointment and anger. Rare reports from inside Eritrea indicated that Eritreans still living in their homeland also welcomed the news. Of course, Eritreans in the country were not able to celebrate Addis Ababa’s surprising declaration openly. “We have been beaten down to submissiveness and even lost the language of celebration,” a contact in Asmara told me. “People have been waiting for state approval to celebrate it officially and openly.” He asked to remain anonymous for fear of reprisal. The response from independent experts who have been working with the Eritrean government was also prompt and clear. Lea Brilmayer, a professor of international law at Yale Law School, who led the Eritrean Boundary Commission and later the Claims Commission, told the Voice of America: “If the statement was made in good faith and they [Ethiopia] implement it, that would be great”. But Addis Ababa’s unexpected move was not necessarily welcomed by all. Eritrean residents of the Tsorena sub-zone in the border area, where the Border Commission had awarded several villages to Ethiopia, have openly expressed concerns. One of their representatives anonymously spoke to Australia’s Radio SBS Tigrinya via telephone and pleaded with the two governments to consider his community’s unique concerns. Meanwhile, ethnic Irobs living in the border area between the two countries currently under Ethiopia’s rule organised a protest to condemn the decision to accept the boundary commission’s ruling. Irobs say the implementation of the “arbitrary” borders drawn by the border commission would divide their community between the two countries. 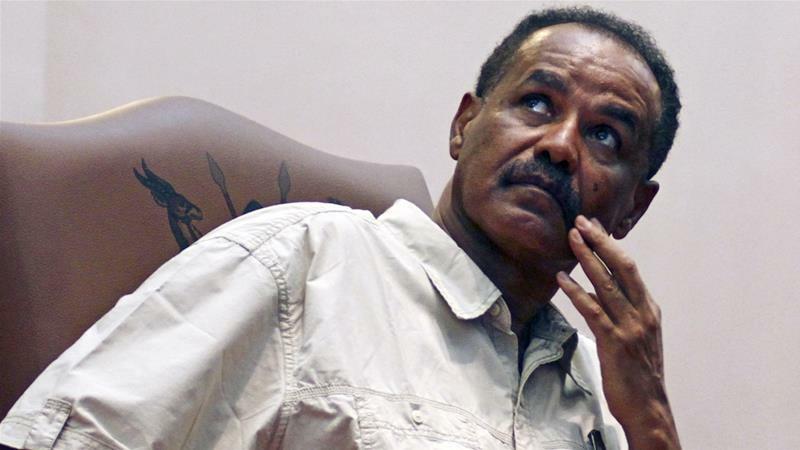 When contacted by Reuters on the day of the announcement, Eritrea’s Information Minister Yemane Gebremeskel claimed that he had not yet seen the Ethiopian government’s statement, so could not immediately comment. A day later, when pressed to comment on the issue on Twitter, Gebremeskel simply said, “Our position is crystal clear and has been so for 16 years”. He did not elaborate. Other officials from the Eritrean regime also chose to stay quiet about the announcement that carried the African nation to headlines around the globe. This was not surprising; as in Ethiopia, Eritrean officials do not usually comment on such issues before receiving some guidance from more senior members of the regime. Only after Gebremeskel’s tweet did some of them began sharing – albeit vague– opinions on the issue. Under President Isaias Afwerki‘s ironclad rule, Eritrea has become increasingly isolated from the international community. In 2009, the UN Security Council imposed sanctions on the country, which are still in force. In 2016, the UN Commission of Inquiry on Human Rights in Eritrea accused Eritrean state officials of committing “crimes against humanity”. For decades, things have been getting worse for Eritreans thanks to the short-sighted policies of the country’s repressive and reclusive government. The state has also become increasingly militarised under Afwerki’s rule. The Eritrean government blames Ethiopia and the international community for all its problems and refused to take any responsibility for the grave situation the country is currently in. In their 2017report submitted to the African Charter on Human and People’s Rights, the Eritrean government once again tried to blame all its wrongdoings and failures on “the border war with Ethiopia that erupted in May 1998 and the subsequent ongoing existential external threats and belligerencies against Eritrea”. But today, the Eritrean government appears to be caught off guard by Ethiopia’s unexpected readiness to resolve the long-standing bone of contention between the two countries. The Eritrean regime seems confused, unprepared and clueless about how it should respond to Ethiopia’s peace offer. Ethiopia’s call for normalisation and peace put President Afwerki in a very difficult position, as it undermines his current strategy of blaming Ethiopia for his repressive rule. Afwerki kept the country under tight control for two decades by using the “Ethiopia threat” as an excuse. Even if not fully convinced, many Eritreans were coerced to accept those fears as “legitimate” and stoically withstand years of economic hardship, political repression, and military obligations that are akin to modern slavery. If Ethiopia does follow through with its stated intention to accept the Boundary Commission’s 2002 verdict, it’s doubtful that Eritreans would accept any further fearmongering from the Afwerki administration regarding Addis Ababa’s actions and intentions. If Afwerki attempts to dismiss or undermine this long-awaited gesture from its neighbour, the population may openly turn against the regime. Eritreans have been demonstrating their willingness to make amends with their neighbour for a very long time. Over the last few years, many Eritreans actively defied their government by travelling to Ethiopia to visit friends and family on Eritrean passports via a third country. These visits helped the Eritrean public hear from the Ethiopian people directly and diluted the state-controlled media’s hateful rhetoric about Ethiopia. Today, there is a real opportunity to reach a peaceful resolution of this long-standing conflict. If the Eritrean government tries to ignore Addis Ababa’s peace offer, it will find itself taking a stance against not only the Ethiopian government but also the Eritrean people.